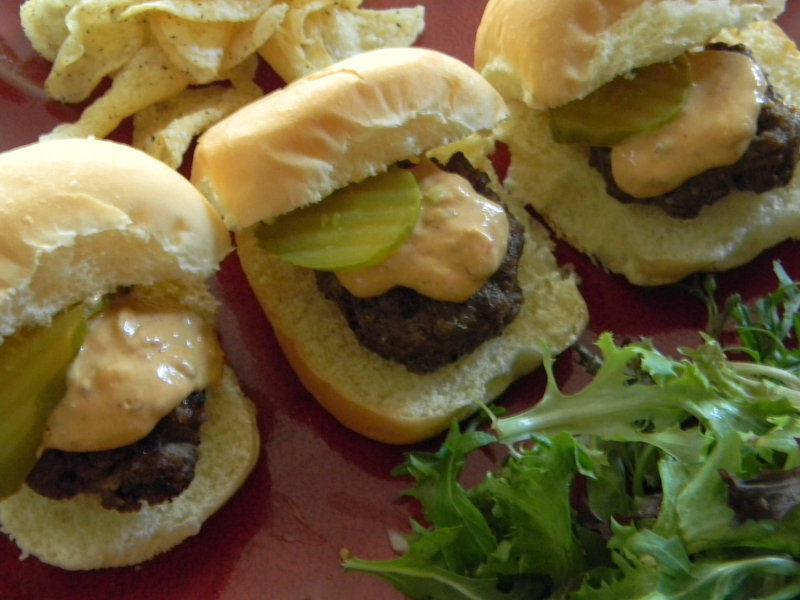 These mini burgers are great for tailgating, parties, or even just a fun family dinner. Serve them with some store bought coleslaw and chips or fries. If you don’t like mayonnaise on your burgers you could blend ketchup with adobe sauce for a tangy ketchup to go on your burgers and with your french fries. 1.) In a large bowl, combine beef, half of the green onions, shredded cheddar, Worcestershire sauce, steak seasoning, 1 tablespoon adobo sauce (from canned chipotles) and mix well with your hands. Form into 10 small burger patties. 2.) Preheat grill. When hot, add patties and cook for about 4 minutes on the first side. 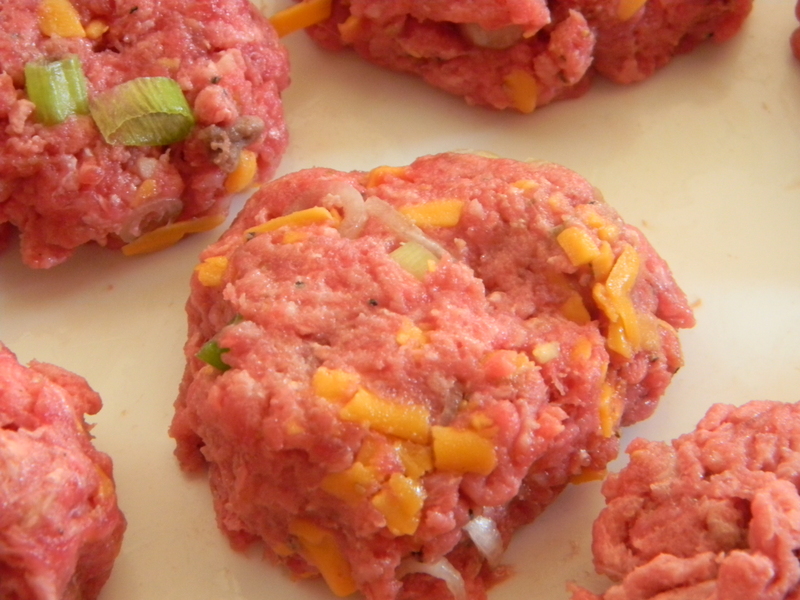 Turn patties over and top with sliced cheddar and cook for another 3-4 minutes. Remove from grill and place on plate. 3.) 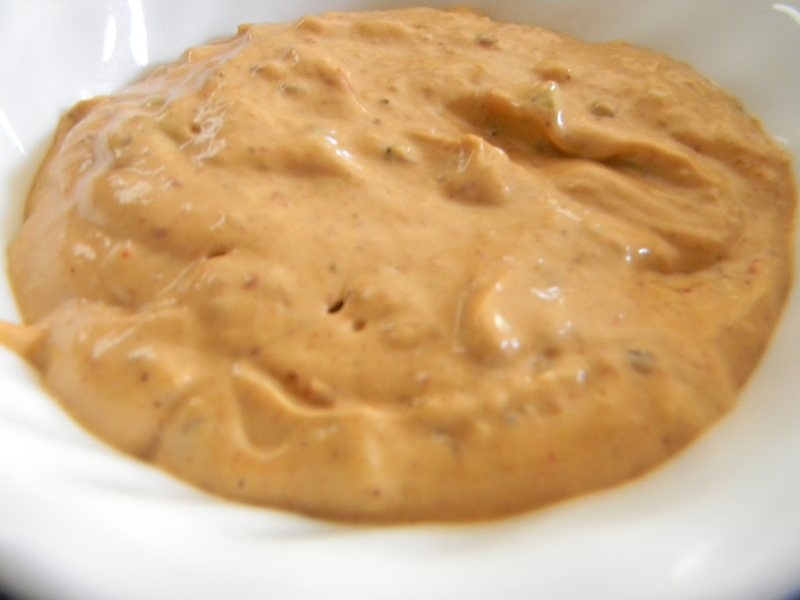 In a food processor add mayonnaise, 2 tablespoons adobo sauce, 1 garlic clove, 1-2 chipotles, salt and pepper. Puree into a thick sauce. Add green onions and pulse to incorporate. 4.) Place patties on buns, top with garlic-chipotle mayonnaise, and pickles to serve.